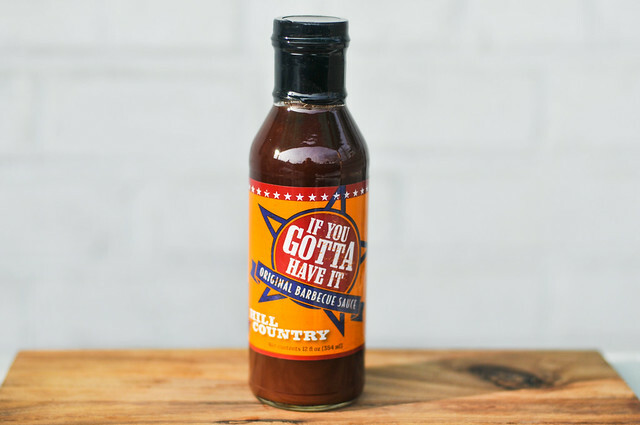 "If You Gotta Have It" really sums up this sauce from Hill Country Barbecue—if you're so inclined to give your brisket a dip, this is a mighty fine sauce to do that with, but if your Texas barbecue is good enough, then this really isn't needed. I've been enjoying Hill Country Barbecue since they opened their doors in 2007. Modeled after the meat markets in the Texas Hill Country—where barbecue is dolled out by the pound on sheets of butcher paper—this restaurant has brought the most authentic Texas barbecue experience, both in food and atmosphere, I've had outside of The Lone Star State. The restaurant started with owner Marc Glosserman, who grew up in the DC area with two Texas ex-pat parents. His trips back to the land where the stars shine bright instilled a love for all things Texas, from Big Red to Blue Bell to (of course) barbecue. This led to the idea of opening a Texas barbecue outpost in the Big Apple, which he did with the help of his restaurant partner John Shaw, executive chef Elizabeth Karmel, and even enlisting family friend Rick Schmidt, pitmaster at Kruez in Lockhart, for some barbecue training. With solid Texas roots, it's not wonder this restaurant started of strong and keeps churning out great brisket day after day. Woah Worcestershire! Taking in a big whiff of this isn't that different than opening a bottle of Lea & Perrins. There's a little tomato in there and just a slight hint of something fruity, but it's really hard to discern over the dominate Worcestershire aroma. This reddish-brown sauce runs thin and drizzly. There would be a steady stream of sauce quickly pouring off the spoon if it weren't broken up by a few red pepper flakes. There isn't much else that can be seen in this very smooth, opaque sauce. Big and bold, but stopping short of getting all up in your face, this a nice out of the jar. The Worcestershire is there without a doubt, but it combines very well with the other flavors, making it more seamless in taste than smell. 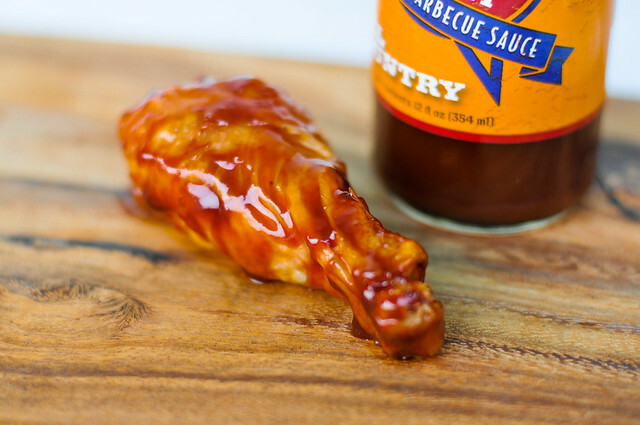 The sauce starts with a pretty equal weighting between ketchup, vinegar, and Worcestershire, but gives way to a smoky heat after about 5 seconds. Between the two stages there's a faint fruitiness, but it's very fleeting as your mouth is left distinctly with the flavor of hot vinegar. 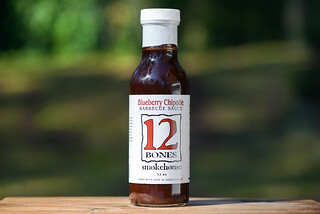 Texans generally don't sauce their meat while grilling, and so I imagine there wasn't much thought given to how this sauce would work on the grill. It lacked fundamental grilling properties as it didn't adequately coat the chicken, bake in, or caramelize—each time I went to mop on a new coat, the last was seemingly missing. What was left on the chicken was really just the final coat applied, and while it had a smooth, sweet flavor, it lost the spice and kick out the jar, making it far less interesting. 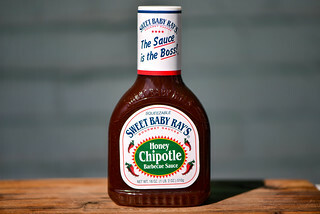 Never was a sauce so aptly named. 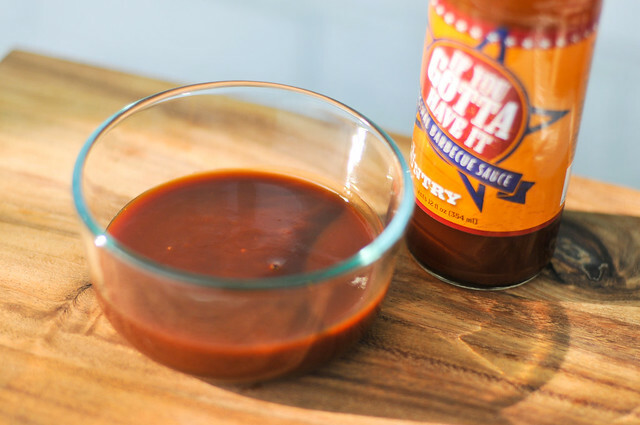 "If You Gotta Have It" really sums up how I feel about this—if you're so inclined to give your brisket a dip, this is a mighty fine sauce to do that with, but if your Texas barbecue is good enough, then this isn't really needed. 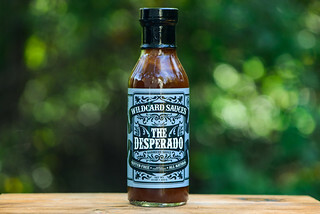 You won't be using this sauce to grill with, and with a bold, but balanced flavor, smoked beef—like brisket or sausage—are the prime candidates for using it as a condiment.